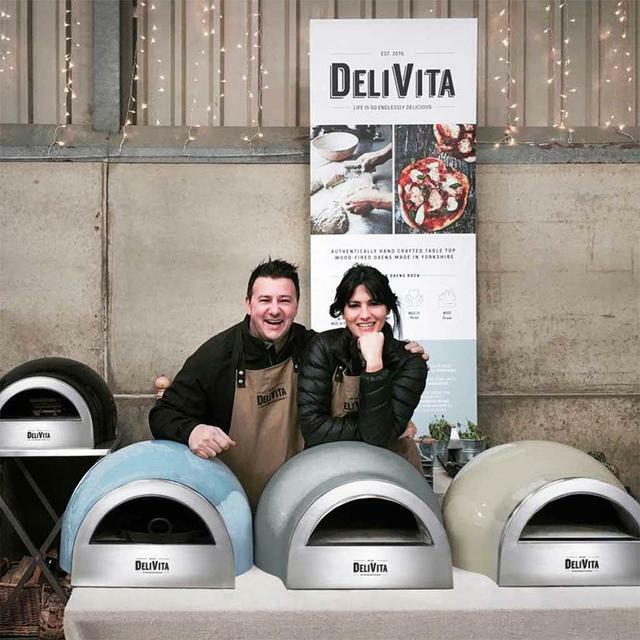 Inspired by Italy, but made in Britain; easy to use, portable pizza ovens. 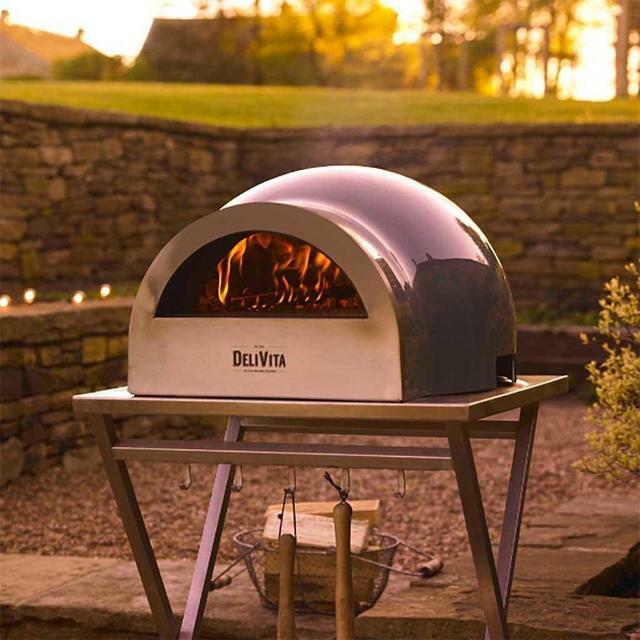 Cook delicious home-made pizza anywhere you want with a beautiful pizza oven, available in a choice of 4 colours. 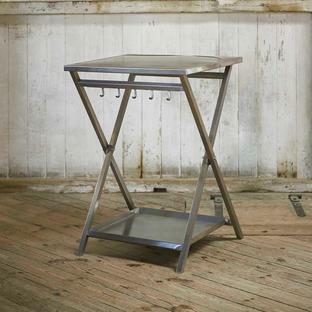 • Perfect for urban balconies and gardens. • Ready to cook in around 25 minutes - much faster than other ovens. 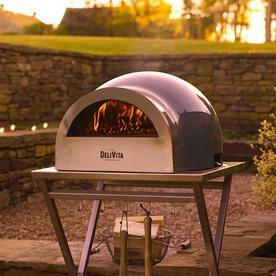 • Once up to temperature, an authentic wood-fire cooked pizza is ready to eat in around 90 seconds. • Insulating heatproof handles means it can be positioned anywhere sturdy enough bear the oven weight. 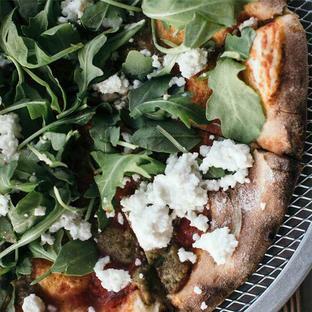 • If you're not a pizza lover, meat, fish and veg cook perfectly in the oven. 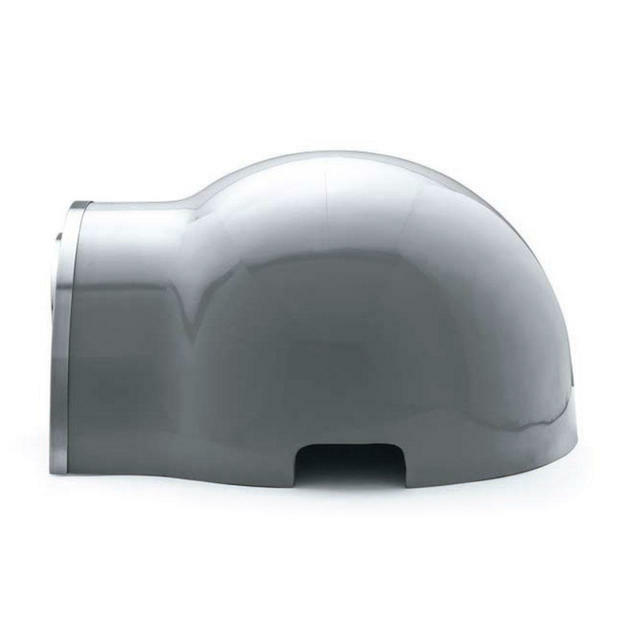 *Oven should be stored in a DELIVITA Weatherproof Oven Cover to avoid interior clay becoming exposed to damp over long periods of time when not in use. 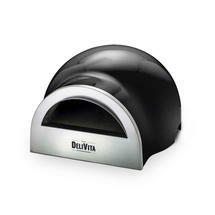 Oven should never be banged or dropped into position, or internal cracking may occur. 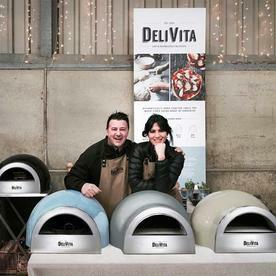 Read more about the oven's creators here. 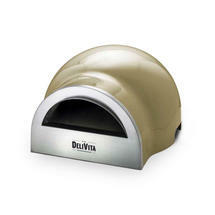 And add our Kiln dried or Seasoned hardwood logs and Kindling here, so that you are ready to get cooking! 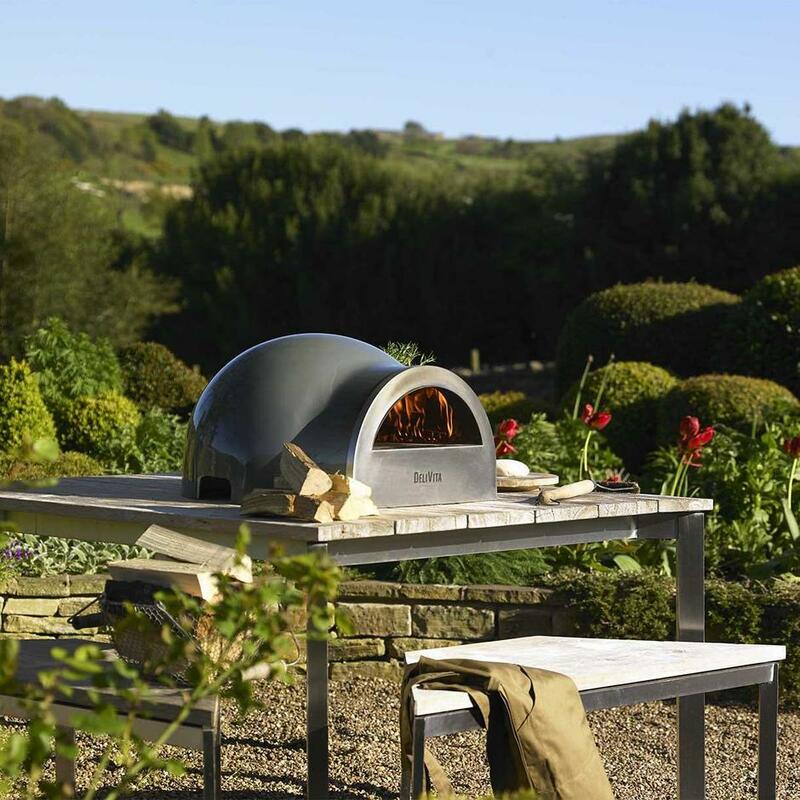 Every oven is handmade in Yorkshire. Guarantee on construction and workmanship - the pizza is down to you! 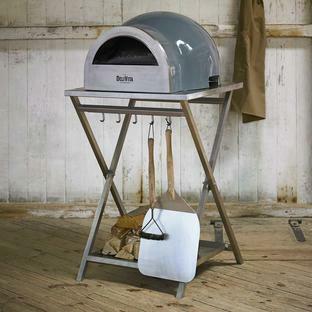 All ovens are delivered with Harrington wood and ecolighters to get you started.